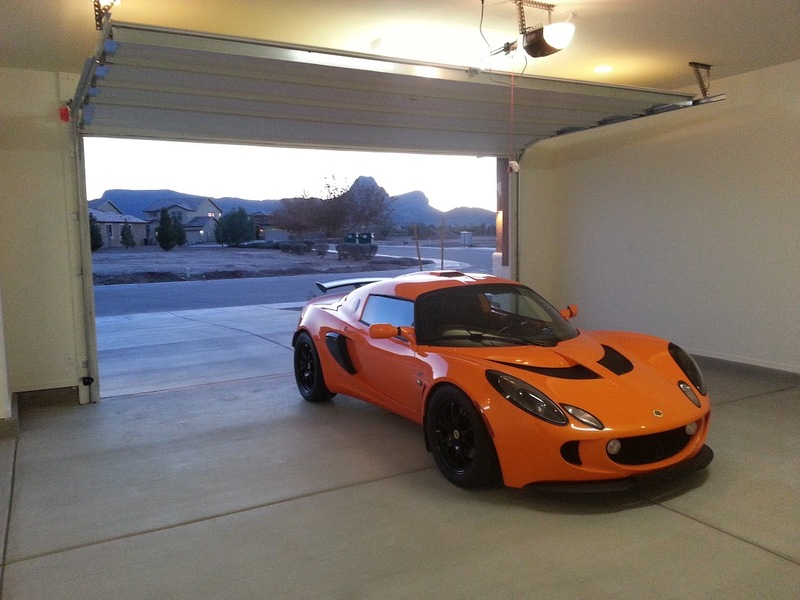 LotusTalk - The Lotus Cars Community > Community > Garage Majal > *Pics* New garage construction - feedback wanted! congrats!! looks great, I'm super jealous! 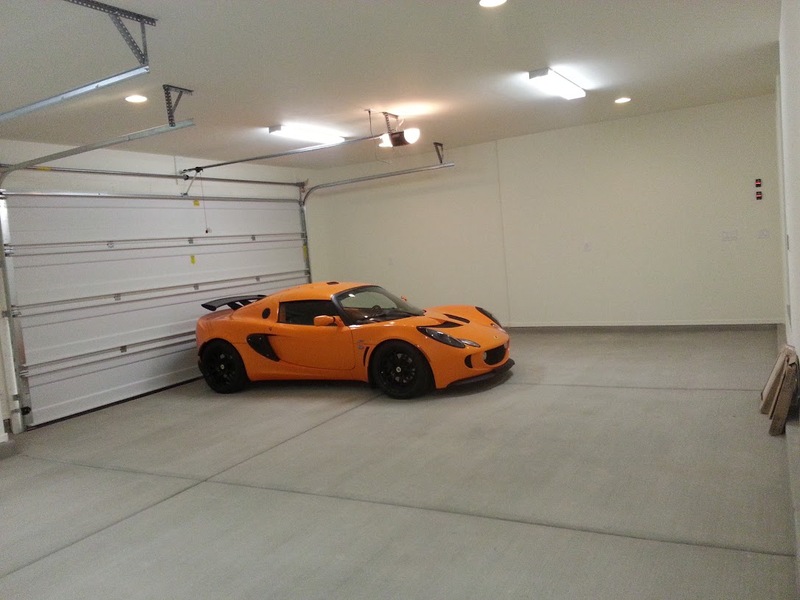 Nice size garage! Cant wait to see progress! Very quiet and perhaps more efficient. I'm debating painting the walls this weekend. Any suggestions on color? You call that a truck? Start with the floor. It is the largest single space. The walls will eventually have cabinets but you want the floor to accent the vehicles. What color(s) do you think you will do the floor and cabinets in? I would probably stick with appliance white and then paint a mural or accent on the wall if you find you have large open spaces. The white will help open the space and lighten the corners for visibility. If you use darker colors it will close in the space and make the garage look smaller. I second the lift in the middle if you plan on using it for working. My suggestion was going to be get an on demand electric water heater, and fabricate a shelf for storage space above that area. That being if you like electric water heaters. Good stuff though! oh we calls that a window air conditioner...when you HVAC it typically means something more ellaborate.... intake and exhaust fans, humidity controls, with heat and AC... you know Heating Ventilation Air Conditioning....LOL nice space you will have though. Yeah, the HVAC system is more than a window A/C unit... even a central system would be more of a HVAC system. ^ I could still walk behind it. Probably 24-28" of space. ^One more for good measure. Love it. You got more than enough room for a few motorcycles. I am jealous. looks great - how do you like the can light/florescent light combo? Nice, what is your ceiling hight? It looks like 12', I wish I had that much room. Thanks! The ceiling is actually a bit lower than it looks... just over 9'. ^ control joints are a little more apparent than I'd like... but it's still WAY better than it was. I hate it when I'm rolling a floor jack or something and it gets stuck. Pisses me off. Very nice! Good job, you will have fun finishing it up. You might end up spending more time in there than inside the house. I know I would. 1. Added a water softening system with an activated carbon filter to wash cars. 18,500 BTU A/C... very important in Arizona! Very nice , A/C in the garage that is cool. I wish I had it in my garage, my power bills would go through the roof. They are already over $900 every two months in the summer without it.